This rig holds the distinction of being the first horse drawn engine in the Commonwealth of Pennsylvania with a gasoline powered pump (at 100+ years old, it still pumps!!). 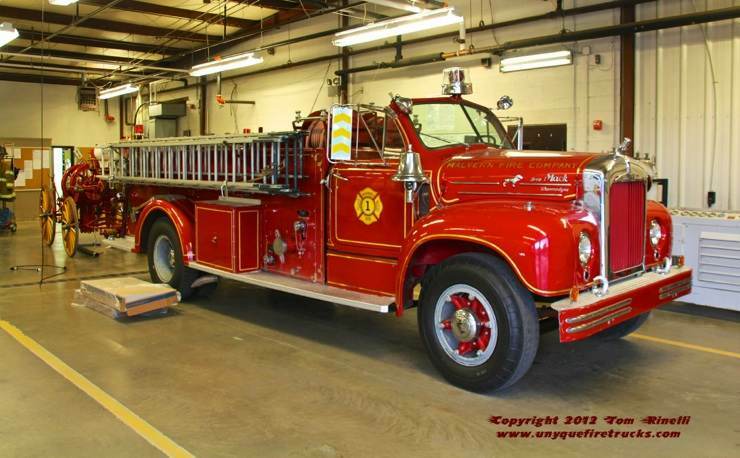 Engine 4-2 - 1955 Mack B 750 gpm/500 gal. 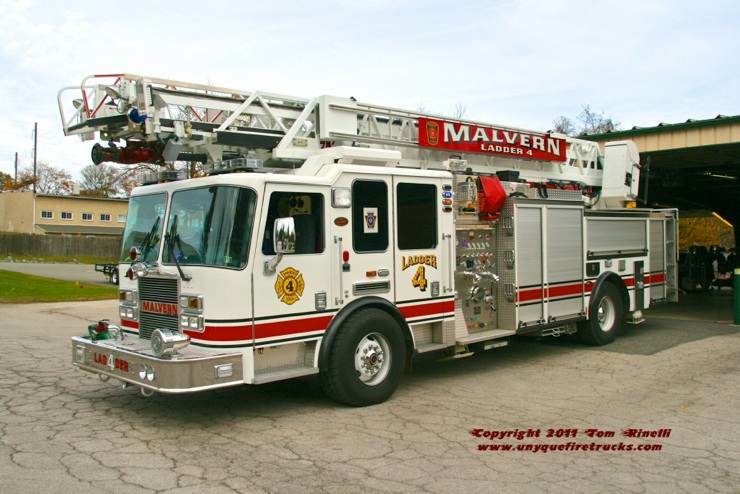 Organized in 1888, Malvern Fire Co. operates as Chester County Station# 4 providing Fire, Rescue & ALS level EMS protection to the Borough of Malverne. 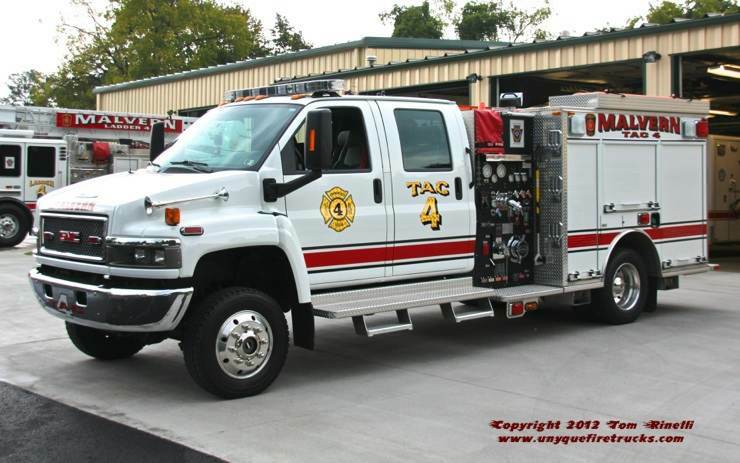 This rig is equipped with 400’ of 1-3/4” attack line, 400’ of 1-1/2” forestry hose & 1,000’ of 3” supply line. In addition, it also carries Holmatro extrication tools including a 27” spreader, O-cutter, two large rams, four “Sidewinder” rams & cribbing. Engine 4-5 - 1996 Spartan/Ferrara 1500 gpm/3000 gal. 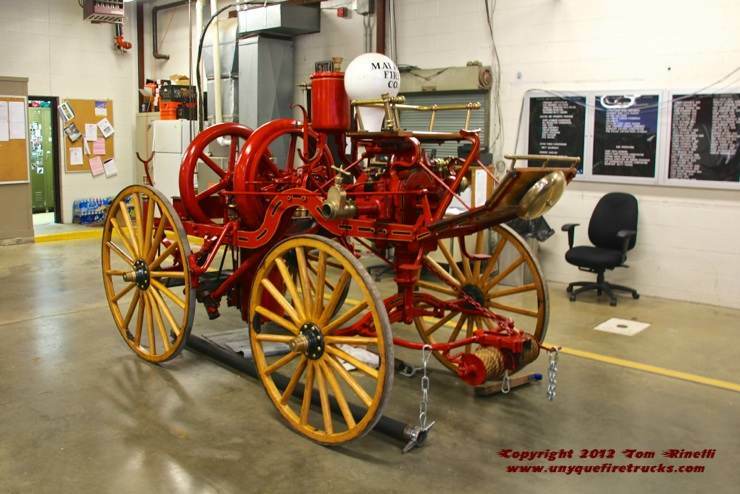 Seating eight, it features a 10kw PTO generator & 1,000’ of 5” LDH supply line. 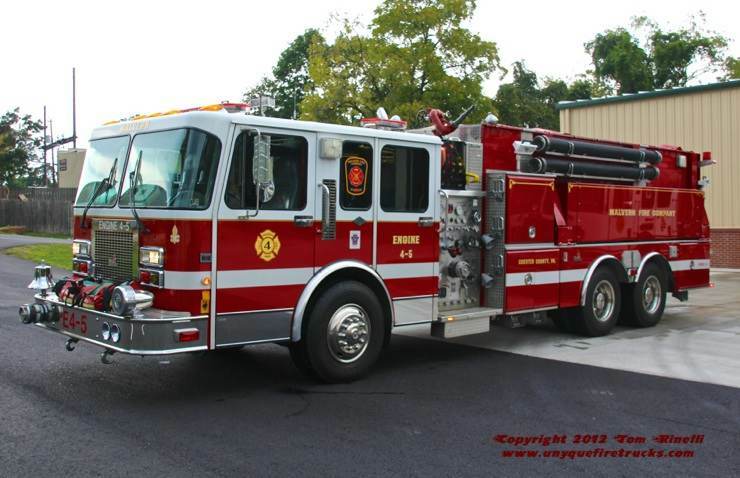 Ladder 4 - 2009 KME 75’/2000 gpm/500 gal. Featuring a 10kw generator, it is equipped with extrication tools. Special thanks to Chief Neil Vaughn for arranging my visit in 2012 as well as career FF/EMT Greg Lewis & FF/Paramedic Rich Constantine for their assistance in positioning the apparatus for photos. Delivered in March of 1889 by the McShane Bell Foundry of Baltimore (MD) at a cost of $30, this bell served as Malvern’s first alarm alerting system. 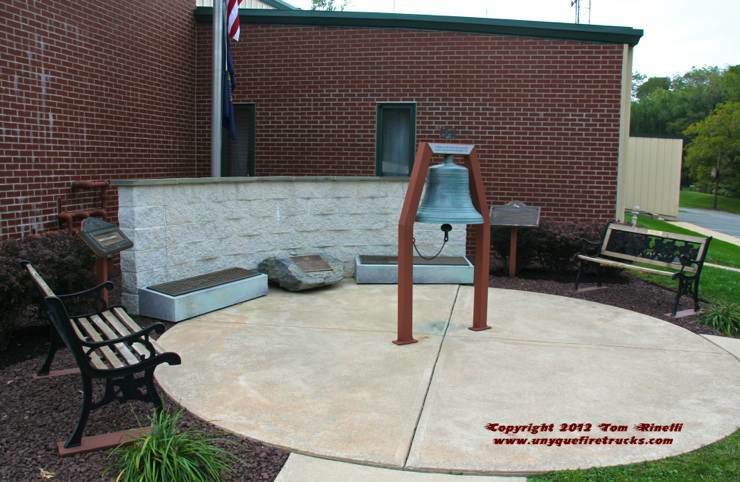 It has been preserved in this memorial plaza dedicated to all those who have served Malvern as well as the 343 brothers lost on 9/11.